Redesigned for 2013, Lincoln's most affordable midsize sedan is mostly unchanged for 2015—other than debuting a top-shelf Black Label trim offering luxurious retro styles and an expansion of the maker's concierge services. Otherwise the very same MKZ that drivers call the most comfortable, reliable and fuel-efficient luxury option remains just that for 2015, technology quirks and all carrying over without any reported changes. To date, the present-generation MKZ has but a handful of common complaints. The fact that its infotainment systems are not immediately usable at first blush is chief among those complaints, but for as many drivers that complain, there are just as many who say it is intuitive if you read the manual. Beyond that, nobody seems to mind that the back seat isn't as spacious for 3 as other midsize sedans, and its steady ways are never called pokey—some even dare to say it's fun to drive. 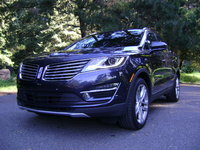 What the MKZ lacks in complaints is more than made up for in praise, however. Offering as much as 22 mpg city/33 highway on regular fuel with its unmodified base engine, the MKZ is uniquely positioned among its rivals on ownership costs, even before considering driver reviews talking about its relative lack of unexpected visits to the service department. Lincoln may not have an established "thing" that it stands for yet, but it's quickly building a reputation as the most blissful luxury brand to own with its entry-level MKZ. Kind of an outside-the-budget-box Toyota. 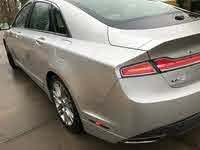 For all the sensible reasons to own an MKZ, drivers also praise innovations such as the push-button shifter, which opens up the center stack for things like a giant touchscreen to interface with My Lincoln/Ford Touch if voice commands aren't your thing, not to mention affording a more spacious feel to the driver's quarters. It's not as jam-packed with technology and features as its rivals, but all the major conveniences are either standard or available, such as advanced cruise control for stop-and-go traffic, rear sensors, a rear-view camera and just about every other "alert" and "assist" system Ford is so well-known for developing. The 2015 MKZ is still available with front-wheel drive (FWD) or all-wheel drive (AWD), with either a turbocharged 4-cylinder, naturally aspirated V6 or a hybrid system. All but the Hybrid use a 6-speed automatic transmission. There isn't a single dud in the bunch, but most drivers actually prefer the base turbo for its balance of power and economy. Rated for 240 hp and 270 lb-ft of torque, that default engine propels the MKZ to 60 mph in 7.2 seconds. The V6 is only marginally better at 6.7 seconds, but it goes at least 3 fewer miles on a gallon of gas. An AWD turbo sips at 22 mpg city/31 highway, whereas an AWD V6 chugs away at 18/26 to produce 300 hp and 277 lb-ft/torque. The Hybrid is available only with FWD and a continuously variable transmission, having the worst zip-to-60 time of them all at around 8.4 seconds, but fuel economy is estimated at 45/45 for its electric-and-gas powertrain good for 188 hp. Some drivers say they have a hard time reaching that estimate in the real world, but it's never worse than 35 mpg, even on the hilliest daily commute. What's your take on the 2015 Lincoln MKZ? mprh Beware, the front parking sensor is not loud or adjustable. 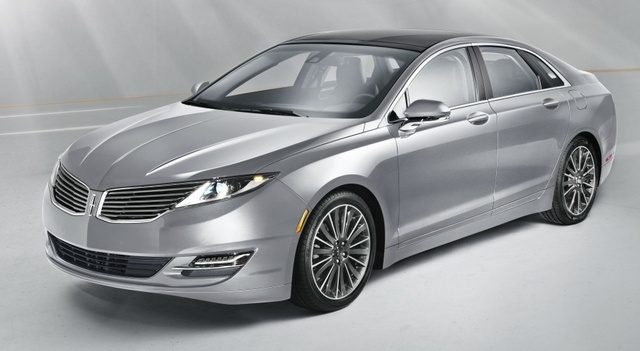 madisondriver Re: 2015 MKZ hybrid, reserve trim, Luxe gray. First a few complaints: The THZ audio system delivers lots of power and lots of bass. The problem is there is no perceivable stereo separation for any of the radio media. Stereo is much better for CD's and MP3 downloads. The THZ surround hype is just that. You can't really find any media that offers surround sound. Not worth the extra $1K in my opinion having tried both the standard and THX systems. Trunk space is fine for two...four passengers—not so much. The voice command nav is somewhat archaic compared to that offered by many smart phones and Lincoln competitors. The MKZcomes with that stupid compressor and tire sealant rather than compact spare, but on the other hand you get roadside assistance for 4 years. Now for the positives (and there are a lot): the ride is exceptionally quiet and comfortable especially in the comfort mode setting, and for 2015 (reserve trim) the optional $600 air bladder adjustable seats with dynamic massage are to die for. Love the 19” Michelin tires. Handling is surprising solid. I routinely average over 41 mpg regardless of speed. Acceleration is fine for any normal driving. It is a looker, and a great choice for short or long trips. We had our side and back windows tinted 35% transmittance which adds considerably to the "look". The rear seats both fold down offering great flexibility by opening a large space into the trunk, although not a very high opening. Remote power open and close trunk lid, and remote start are convenient features. 4 year warranty and 2 year included maintenance are attractive. Lincoln reliability reportedly has been excellent. In summary it's a definite must for a comparative test drive in the comfortable, high mpg, larger sedan category. I also considered the Lexus ES300H, but it was $5K more, and my wife wouldn't even look at it because of it's boring exterior styling. 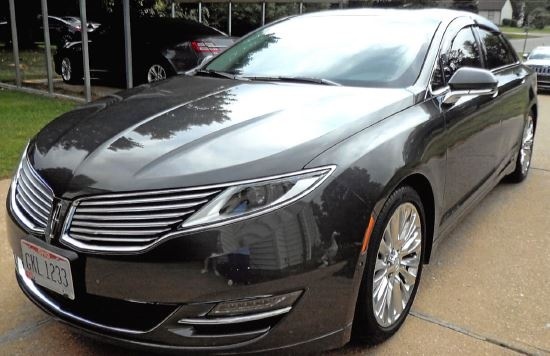 Have you driven a 2015 Lincoln MKZ? Where is the A\C evaporator drain line in a 2015 MKZ? Looking for both the exit under the car and where it starts inside the car.